Mason is a city in southwestern Warren County, Ohio, United States, approximately 22 miles from downtown Cincinnati. As of the 2010 census, Mason's population was 30,712. Mason has experienced fast growth, with its historic Main Street remaining at the center of the community. Mason went from being a sleepy farm town of less than 5,000 residents in the 1960s to a large bustling community of Cincinnati commuters in the 1990s. 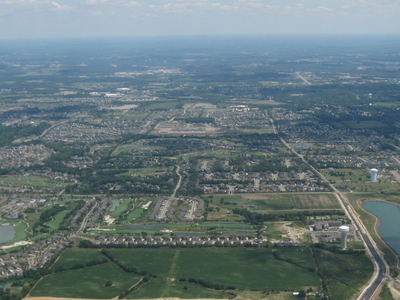 Mason is home to the Kings Island Amusement Park, and one of the largest tennis stadiums in the World, the Lindner Family Tennis Center, home of the Western & Southern Open. Here's the our members favorite photos of "Cities in Ohio". Upload your photo of Mason!